Dr Orteu was educated at the Lyçée Français de Londres and trained in Medicine at the London Hospital Medical College, qualifying in 1987. 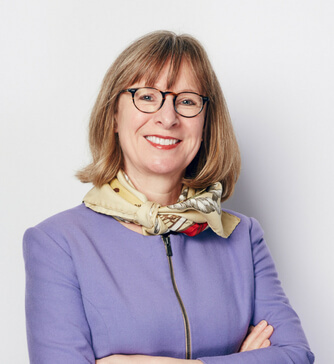 She undertook Dermatology training at the Royal Free and Royal London Hospitals (CCST 1999) and received her MD in immunodermatology awarded in 1999 after 2 years as a Jules Thorne Research Fellow. She was UK trainee representative to the British Association of Dermatologists 1997-1999. Thanks to the award of a Geoffrey Dowling Fellowship, she spent a year as a clinical research fellow in Connective Tissue disease and Immunodermatology at the University of British Columbia (2000). She was appointed as a Consultant Dermatologist at the Royal Free Hospital in January 2001. She is a past president of The Saint John’s Dermatological Society and a founding member of the British Society for Medical Dermatology. Dr Orteu undertakes a weekly general dermatology clinic and a weekly skin surgery list (removing moles, cysts and skin cancers). Her main areas of interest are in the field of complex medical dermatology. She leads a busy Connective Tissue Dermatology service at the Royal Free Hospital, caring for over 400 patients with complex connective tissue diseases (CTDs) particularly morphoea, other forms of scleroderma, overlap CTDs, and Lupus Erythematosus. She is a leading expert in the cutaneous manifestations of Fabry disease, a rare lysosomal storage disorder. Dr Orteu lectures regularly on scleroderma and scleroderma-like diseases as well as on the cutaneous aspects of Fabry disease to Physicians, Rheumatologists and Dermatologists in the UK and abroad. She has published principally on the immunological mechanisms involved in the generation of chronic cutaneous inflammation and auto-immunity, localized scleroderma and scleroderma-like diseases, and on the cutaneous manifestations of Fabry disease.